Amazon made the decision last year to compliment its extremely popular Kindle hardware by introducing a range of Android-powered (FireOS) tablets that would instantly appeal to the price conscious consumer among us. In fact, such was Amazon’s focus on price that it actually offered the new 7-inch Fire tablets starting from just $49.99, or packs of six for just $250. Who knew that purchasing a multipack of tablet computers would be so affordable? Now, as an extension of that offering, Amazon has announced new colors and storage options for its 7-inch Fire tablet. The newly announced options are available to purchase immediately, and will definitely delight consumers who happen to be in the market for a performant and affordable tablet that comes in some vibrant colors. 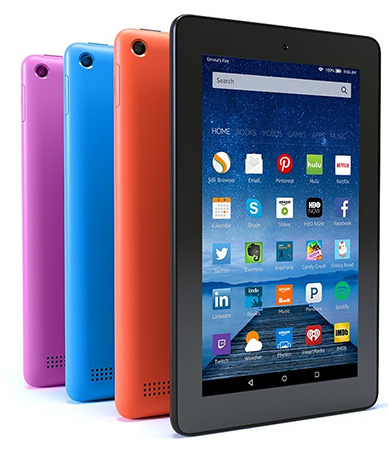 The new colors that 7-inch tablet is now available in are Magenta, Blue and the really-gorgeous Tangerine. As part of the range progression, Amazon has also announced a new higher capacity model that allows more files and data to be stored directly on the device itself. The additional internal storage will allow owners to store more apps, games, and other content such as music files and photographs and videos that are captured through the device camera. The lowest 8GB capacity model is still available at the highly affordable $49.99 price while customers wanting to double up and move to the 16GB version can do so by parting with $69.99. It is important to note that both the 8GB model and 16GB model also supports storage expansion via microSD cards. 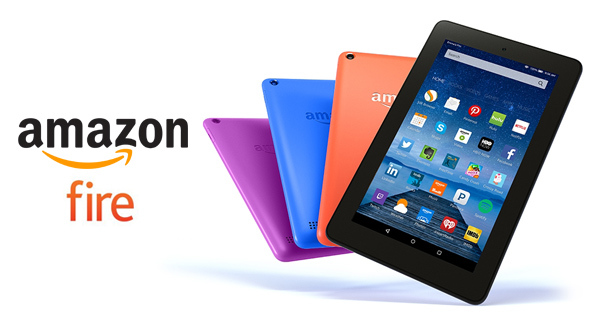 Amazon clearly wants to appeal to everyone in the family who could potentially own one of its 7-inch tablets. To make that happen it has also doubled the storage capacity on the Fire Kids Edition tablet from 8GB to 16GB. The good news being that the price still remains the same at $99. The new models are all available to order immediately with deliveries starting from April 28. Storage, and color selection can be made when adding the tablet to your Amazon cart.